Just curious to know how your morning closet raid turned out! What are you wearing today? Send in a photo of your outfit! Or opt to just send pictures of key items like tops, bottoms, accessories, shoes, hair pieces to stacee.michelle@live.com! I’ll post the most stylish submissions! Let’s see who continues to be fashionable after hump-day! 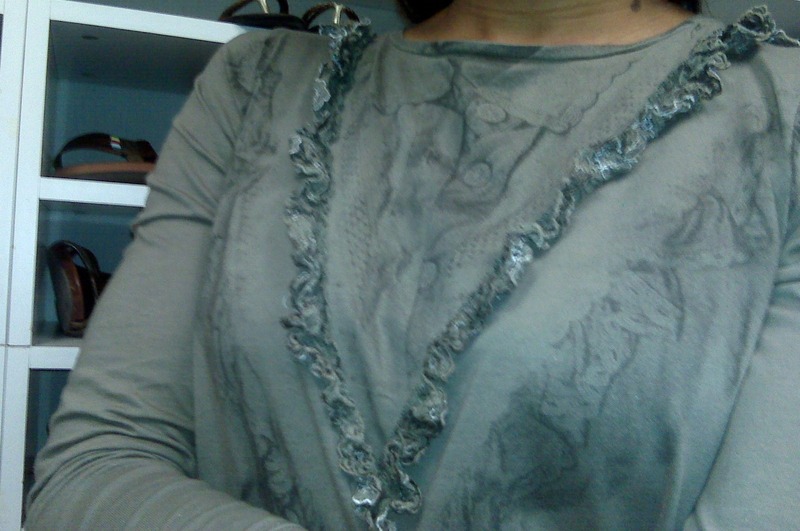 Key Piece: Long-sleeve ruffle front top with printed shirt detailing. I paired this with a high-waisted black skirt, braided belt, black opaque tights, and black ankle booties. I also added a small feather compliment piece to my hair to spice things up!